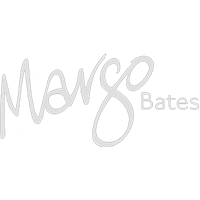 Since 1980, Margo Bates has worked on high-profile public relations projects and events in Canada, the United States and London, England. Margo has a strong base of writing and editing. She is an expert publicist and media relations practitioner, and from 1986 until 2011, was the owner of Vancouver-based Margo Bates Publicity. Her background includes both corporate and agency work, which means she’s been in her client’s shoes. Her experience spans federal, municipal and local government agencies, private and public industry, not-for-profit organizations, and service groups. Margo understands how to provide value and how to build and sustain successful communications programs. For fourteen years until 2011, her firm represented the BC Professional Fire Fighters’ Burn Fund, Vancouver Park Board, and their joint event, Bright Nights in Stanley Park, a seasonal lighting festival / annual fundraiser for the Burn Fund.